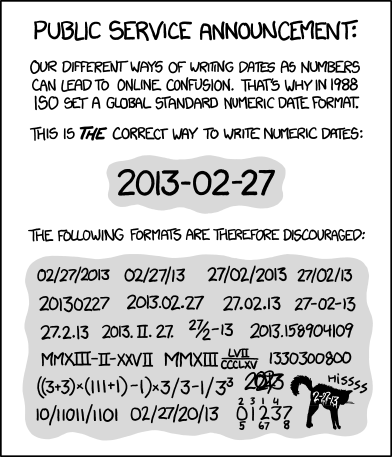 As promised – my final post on time\date factors\arbitrary rants about date systems. This time, we delve under the covers to have a look at some of the new HSP functions – which massively simplify any work that you need to do with dates in Hyperion! 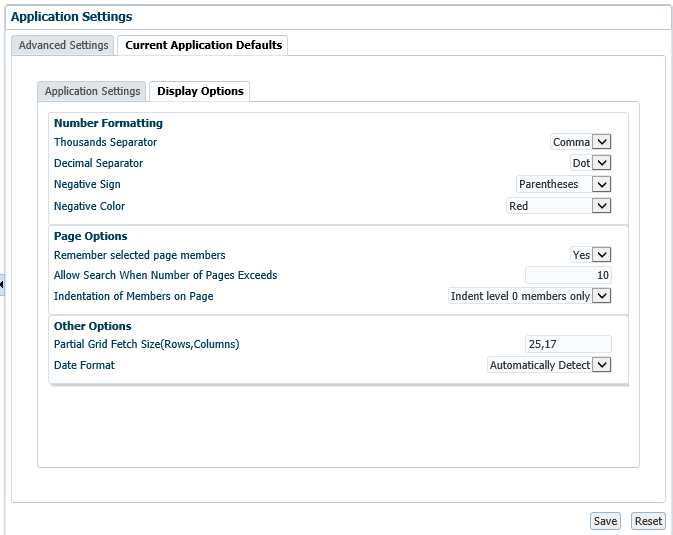 But, with the new HSP functions – that’s pretty much all changed. And now it seems Oracle has come to the party – adding the following to their Calc Manager \ Business rule Documentation. So let’s have a look then! 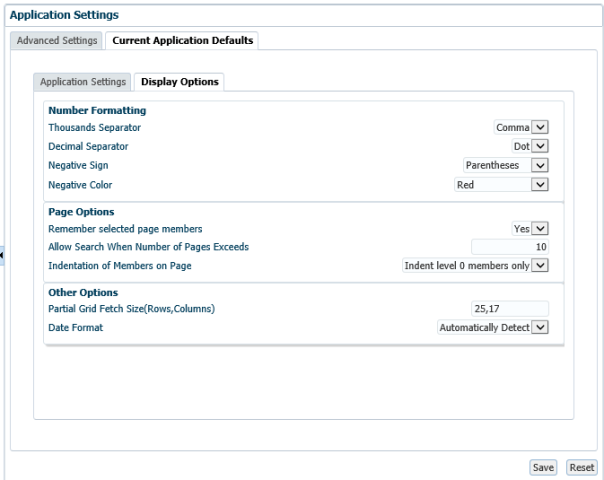 Okay, so perhaps most importantly with these functions – they are designed to work directly on Planning input dates. As such, they are expecting an Essbase date in the format (“YYYYMMDD”) and a Planning Date in the selected date format in the Planning apps. The nice thing about this (for you crazy Americans) is that you can use discrete date options per user, but still use the same underlying functions. 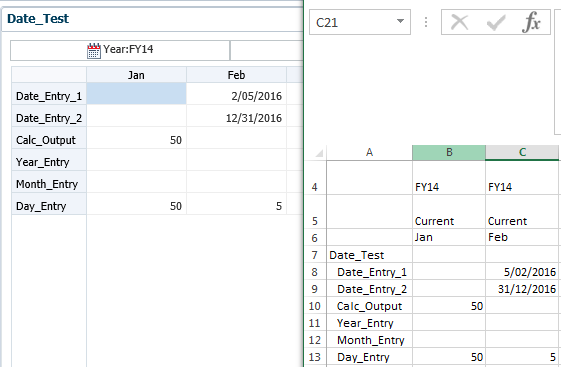 See date entry in mm-dd-yyyy in Planning, while the Smartview retrieve is showing dd-mm-yyyy. Or. You know. Your could standardise. 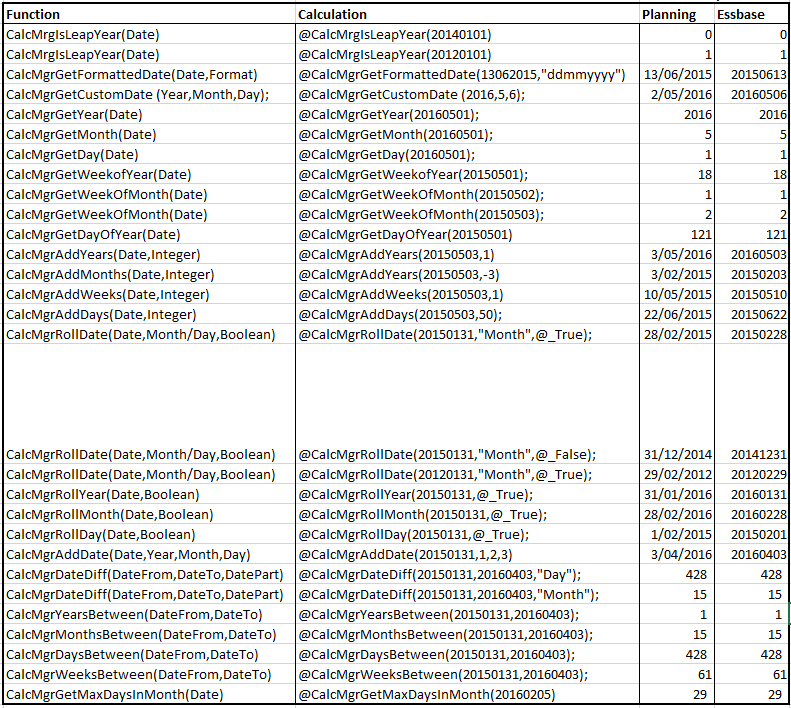 Below is a listing of almost every date function in 11.1.2.4 – I’ve put in the function, the usage and the outputs (in both essbase and planning). [Adds or subtracts (up or down) a single unit of time on the given date field without changing larger fields. @CalcMgrRollDate(19960131,"month",@_true) will result in the date of 19960229. This is very useful. Rolling forward the ‘last day’ in the month without needing to deal with differing month lengths. It’s also setup for leap years, so massively reduces coding. Another useful function is @CalcMgrGetCurrentDate. At first I couldn’t get it working, but after a quick google landed me on Robert Gideon’s blog and I was on my way. Could be invaluable if you wanted to script a data export to pass a date to the filename. I did have issues with @CalcMgrGetDatePart and @CalcMgrAddDatePart returning slightly odd values or no values hence their exclusion above. However the main component of their functions have been replaced by more discrete functions, so they have limited utility anyways. Anyways – I’ll hopefully be back soon with another blog post on the REST of the HSP functions. Any questions \ comments, hit me up in the comments.